As a service professional, you should know that Errors & Omissions Insurance PL or Professional Liability Insurance are very important to consider. While not many are those that can admit they made a mistake, there are cases when our business advice doesn’t get us the results we’re looking for. When that happens, The Clausen Agency has your back. 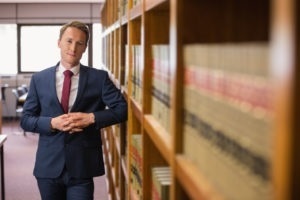 PL is a specific type of coverage that’s going to protect you when one of your customers is harmed by the advice or services that you’ve provided him and for which you’re held legally liable. PL covers potential advice or mistakes that your company has provided to its customers through professional services, including the failure of delivering those services. It provides coverage for potential lawsuits (defense costs) filed against your company even if it’s your fault or the client’s fault. For up to a certain amount of time, your company is going to be covered for the services it provides to its clients. Errors and Omissions coverage insures not only your previous work, but also your future and current work with 1 policy. We can help you effectively protect your staff. Should your company consider getting professional liability insurance? Maybe you need to get some extra coverage as well? If you still require help with PL insurance, be sure to call us at 631-744-1393 and our professionals will be more than happy to help you get the right policy for your needs.